Twins, does this mean that is TWICE as exhausting? 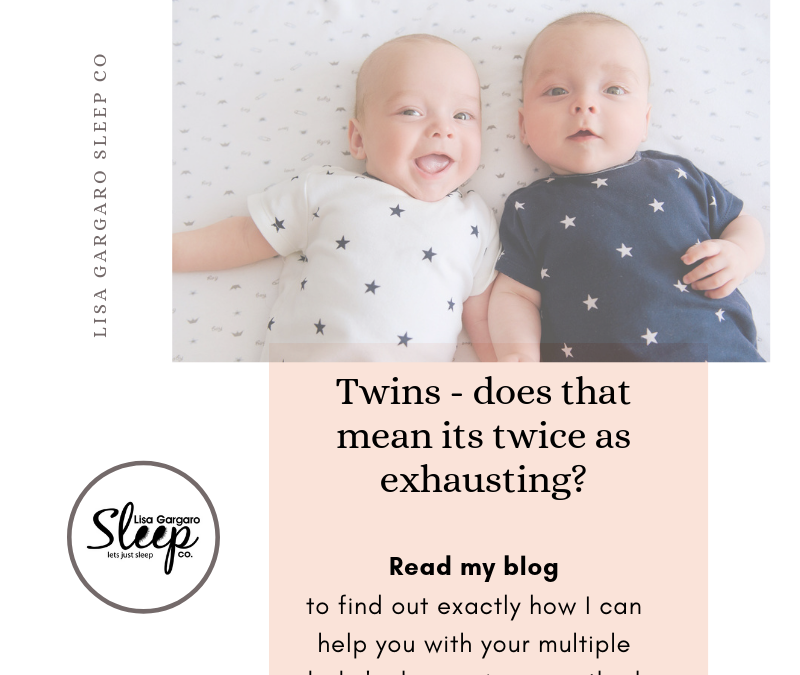 CASE STUDY: Twins does this mean that is TWICE as exhausting? In this blog I am going to address working with a real-life mother who made the decision to reach out for help. I will my case study with the hope that this will help any other mum’s/parents who are finding themselves to be a same, or similar situation. With not every parent parenting in the same way, and that when you read this you please do not judge, criticize or demean any of these mothers and parents’ choices they have made in what way feels best for them to be parenting their babies & their families. The Babies Name are Aaron and Christopher Scott. They are aged: 4 months when the mother: Charlotte reached out to me about their sleep, or lack of it. The scenario that made Charlotte contact me was that fact that their naps were only ever catnaps and she was unable to get into any sort of routine with her babies so feeding, sleeping were all being affected. The household was becoming exhausted with the situation. Charlotte said: From birth, both Callum (the baby’s father) and I decided from the start that we wished to rock our boys to sleep. They were just so tiny, and precious to us both we just didn’t wish to put them down over the first few days & weeks. We were mainly guessing on when they were both needing to go to sleep. We quickly found this to be was very exhausting for us all, especially with there being two babies! What we were finding was that both boys only slept for 45 minutes at the most for any of these naps. At its worst, I felt like I was spending all my day focusing on sleep while I desperately tried to get them to do this, the struggle to finally get them to both be sleeping was unbearable. This was then made worse by the fact that either one or both would then wake again not long after I had finally managed it. It was at this point that I had to speak to Callum about getting help with their sleep and routine. 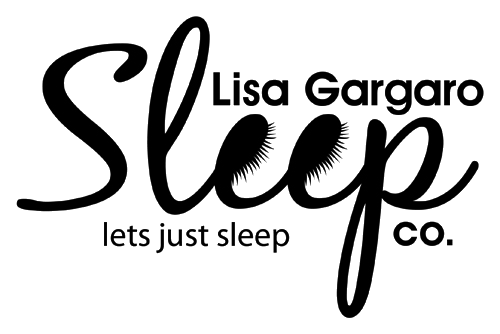 Lisa Gargaro from Lisa Gargaro Sleep Co was the only program we felt we should try after seeing and reading about it on Facebook. I was especially attracted to the sleep program due to its holistic and family focused basis that was able to offer our family in Lisa’s sleep programs. We both felt her personalised programs suited our family ethos the most, with it being reflective of what we wished to occur in our ability to offer comfort and support our babies while they learned to sleep. With the level of Lisa’s understanding on crying it was truly encouraging. So, after our initial introductory call with Lisa, we decide that this was the right program for our family, so we purchased the infant sleep program. We started implementing the program and suggestions made in it straight away. When the boys were just 3 months old. The results were amazing. In a matter of a week we had both started to see results in both the boys sleep. The program took 3 weeks for us to all get our days fully on track. Naps were perfect, daily routines were established and night time sleeping improved greatly. The difference is amazing. We have a completely different family. With structure to our days, I am now able to make the right plans for our family; I now know when either one of them is in need of a nap, and best of all, for exactly how long. I have also learnt what to do on days when things go wrong and/or on those days we have a different schedule, due to having a baby class we wish to attend at midday. The boys have learnt how to self-settle because of the gentle methods in the sleep program. All I now must do now is just simply take them place them in their cot. They put themselves to sleep! This is such a big and fundamental change, to have gone from having to rock them for ages to have even got them to sleep to doing it all on their won. Best of all with them both having a nap for two hours around lunchtime most days, I now have this time in the middle of the day to do my own daily tasks. This now ensures I don’t have to do my work at night, instead allowing my husband and I have valuable time alone together in the evening. aron and Christopher were both in need of structure to their day. By doing this I was able to help the parents ensure they were both napping well. By ensuring enough sleep at nap times, this then led to the restoration of great throughout the night sleep too. Once Charlotte and Callum had implemented my Infant Sleep Program, they were able to ensure the boys had the right awake windows which were reflective of their age. This along with some simple and easy changes in their sleep environment we were able to help the boys settle and sleep well independently over the 3-week program. The boys were then able to start self-settling, meaning with minimal to eventually no help from either parent. This now means that everyone in this Scott family is now feeling very well rested and happy! Highlighting that by putting and having a little routine in you and your child’s day, it can create such a huge difference! I love to hear how my sleep program help families. I do feel it does truly change their lives, in every aspect. To see how I can improve your own baby’s sleep, click here to find out more about my comprehensive Sleep Programs for all ages from birth onwards! I also offer an eBook and how to start off on a great footing with your new born baby – helping you establish a great routine and help form good solid foundations to help teach sleep to you baby from day one in a gentle and loving manner.